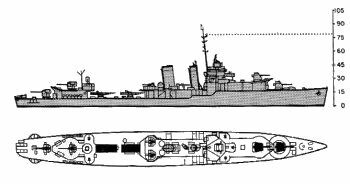 Table of Contents Next: Farrell, Walter G.
Dimensions 341'3" by 34'3" by 16'4"
Early 1942: One 5" mount and machine guns replaced with 8x1 20mm Oerlikon AA guns. By 1943: Radar added, generally SC, SG, and FD. 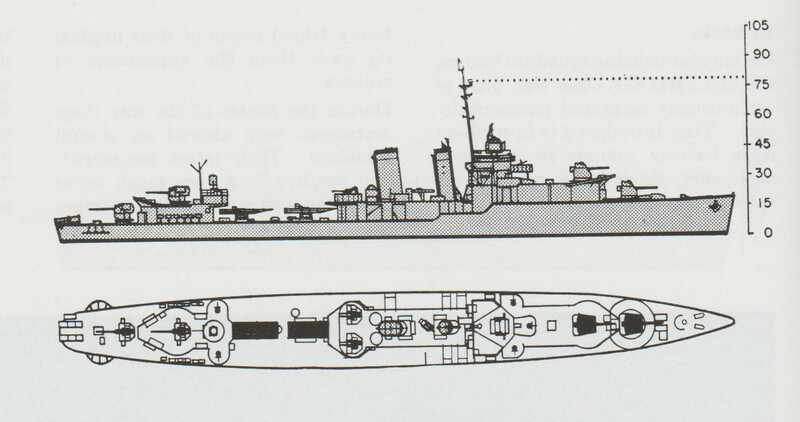 Three of the single 20mm guns replaced with 2x2 40mm Bofors. 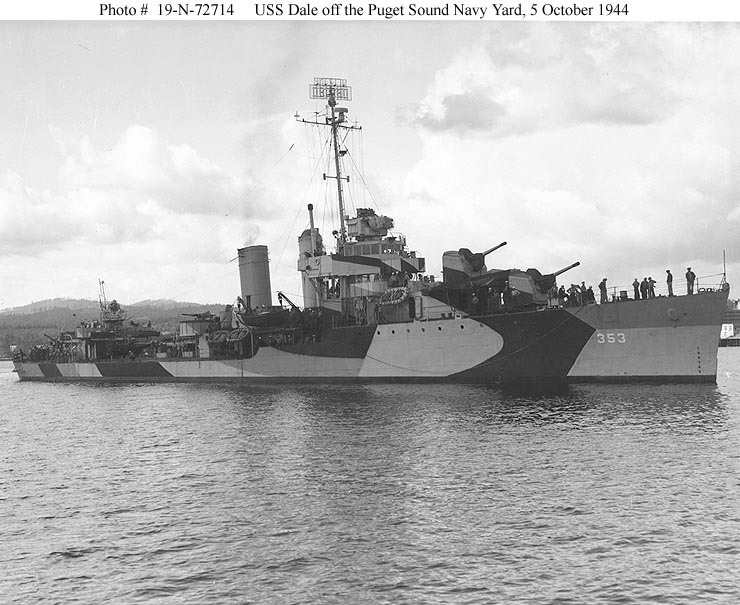 At some point two depth charge throwers were added to most units. 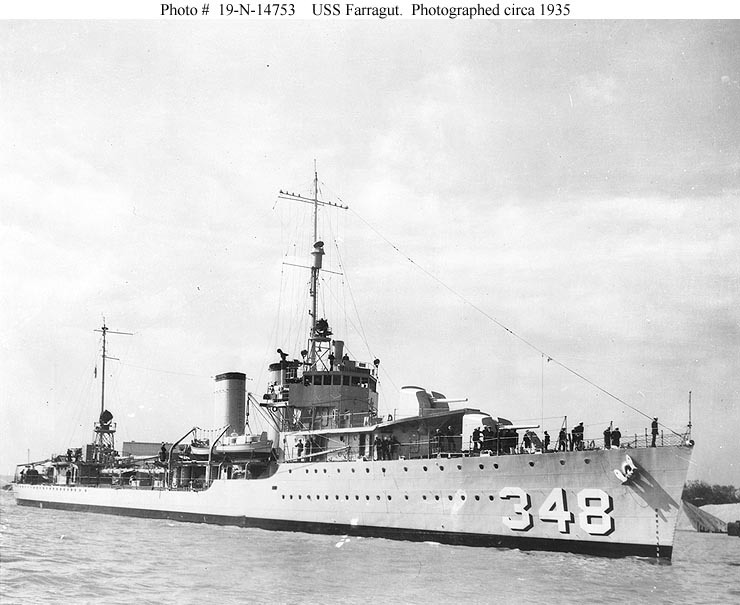 The Farraguts were completed in 1934-1935 and were the first U.S. destroyers built since the early 1920s. 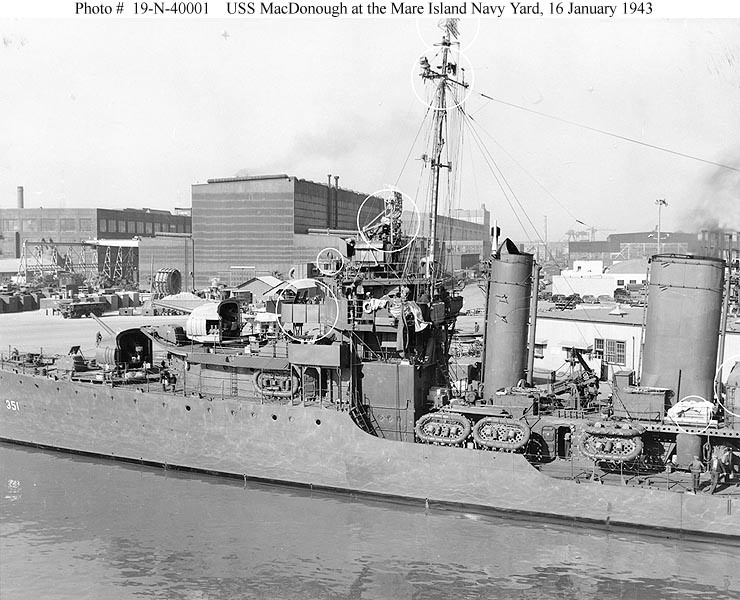 Designed to replace the aging "flush-deckers", they were a good design for their time, being the first U.S. destroyers to mount 5" dual-purpose guns, which used new director technology superior to its foreign counterparts. All armament was put on the centerline, where it could contribute to either broadside, and a raised forecastle was re-introduced to reduce the wetness of the ships forward. 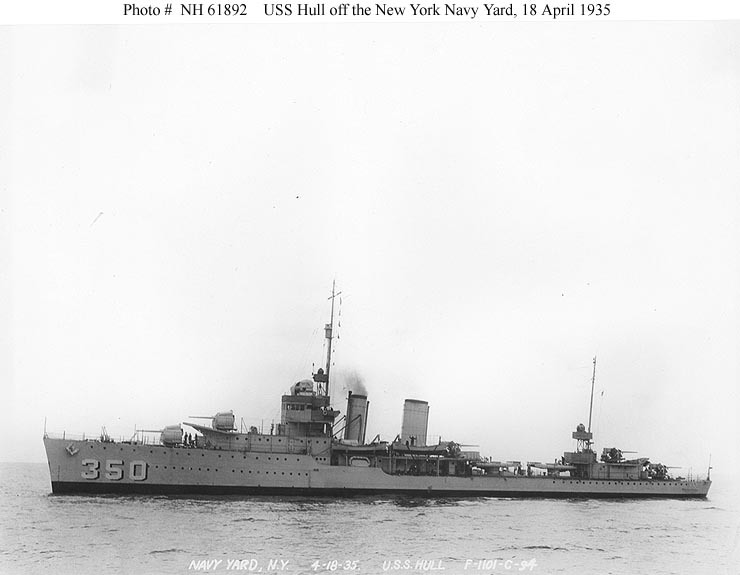 The stern hull form was improved and, with it, maneuverability. 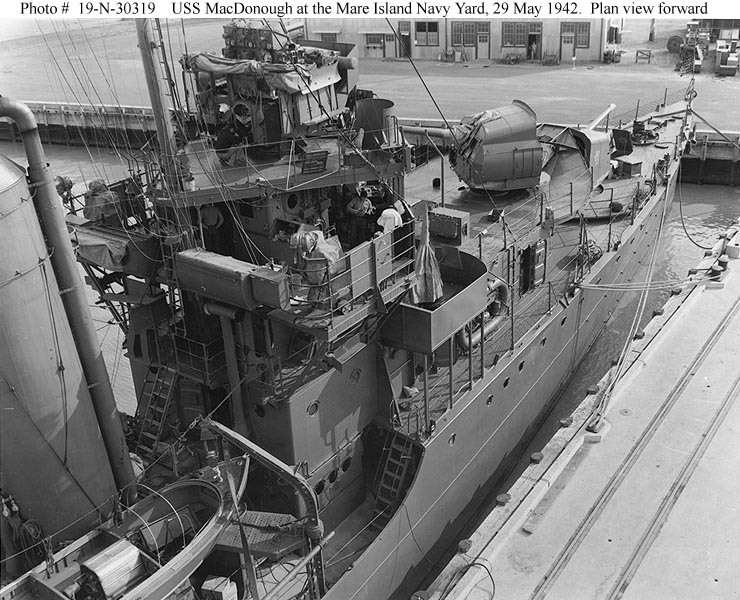 However, the guns still did not have enclosed mounts (just shields on the two forward guns) and the ships were somewhat lightly built, with longitudinal framing and welded construction to reduce weight. 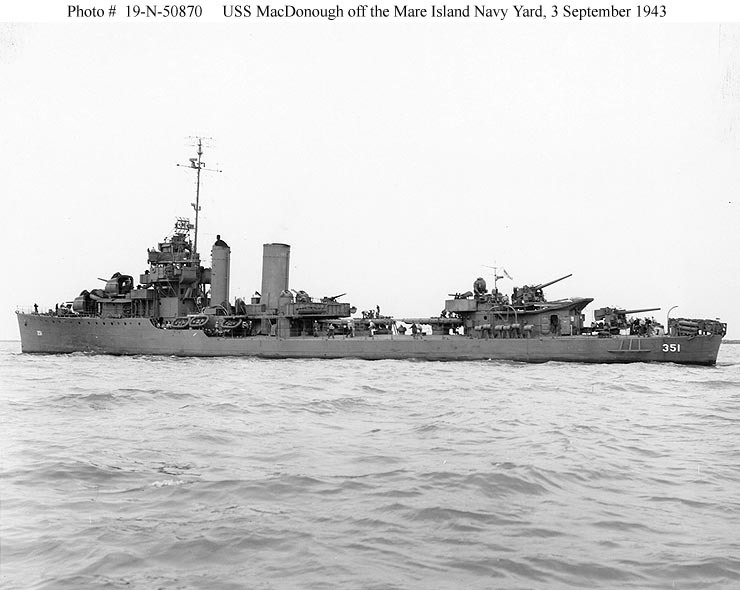 They were also too top heavy, a fault that would continue to characterize U.S. destroyer designs prior to the Fletchers. This would prove fatal to the Hull and Monaghan when they capsized in a typhoon late in the war. 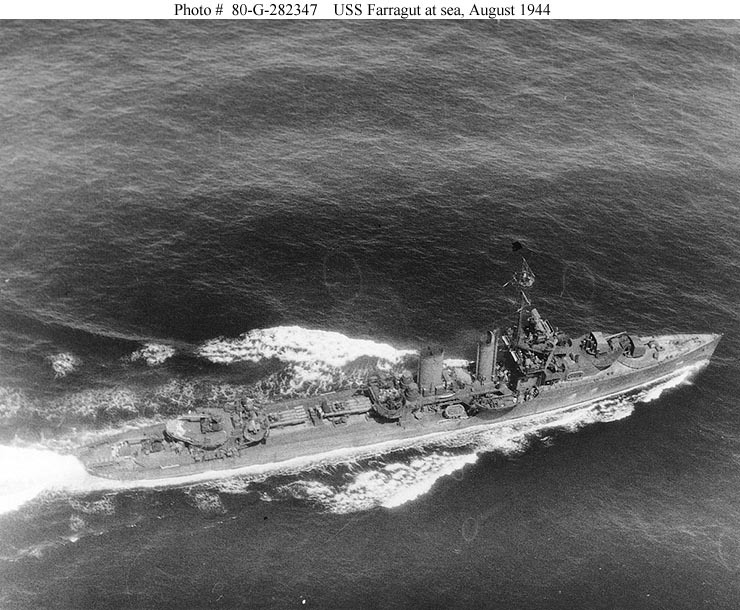 Oddly, the ships completed with sonar but no depth charge racks. However, provisions were made to add these in time of war, and these were almost certainly in place by the time war broke out in the Pacific. 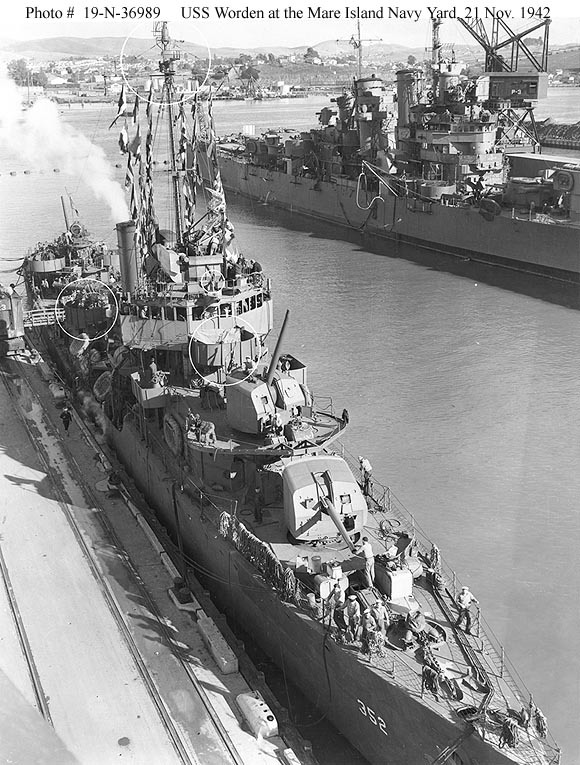 American sailors had become fond of the "flush-deckers", and the new ships were derisively nicknamed the "Gold Platers" for their comparatively lavish facilities.